During 2017 the fracking industry’s activity continued but strong, well organised and imaginative community opposition resulted in delays and heavy costs for the corporations involved. This year promises to be another grinding, slow slog for the fracking industry with money being lost hand over fist due to community oppo sition around the UK. The fracking industry has to artificially crank up the possibility of profit to draw in investment capital that is its life blood. But there are over 300 local groups in the anti-fracking movement which has successfully increased in numbers, strength and motivation. It is this direct action movement which threatens to bleed the fracking industry of its profit and stop it dead in its tracks. Last year saw a broad range of creative resistance to the fracking industry. 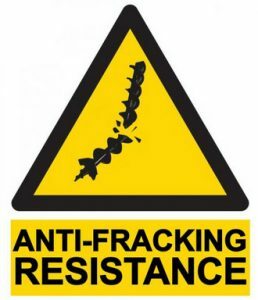 That resistance focused on the fracking sites with protest camps, marches and blockades. But the challenge to fracking also involved organising disruption of the network of supply routes and support sites. Lorries have been held-up for days with different tactics including lorry surfing. The tactic of communications blockades such as coordinated mass phone-ins has also been used to effect business and cut the profit of those companies engaged in fracking. In the face of these organised protests some suppliers have stopped working with the fracking industry. Some fracking operations have been slashed. Cuadrilla planned two large shale gas sites in Lancashire but the these were scaled down to only one at Preston New Road. That site was going to have four wells but those were then reduced to just two. The construction work took over six months — double the planned time. 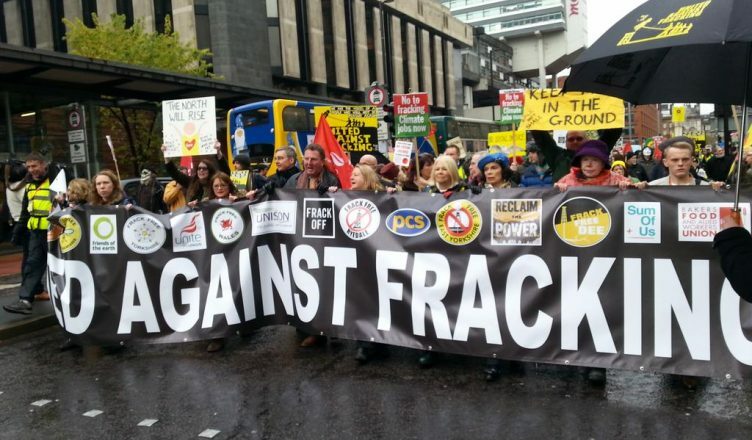 While Lancashire is a major front in the battle against fracking, North Yorkshire, the East Midlands, South East and other areas are important and anti-fracking actions are ongoing in these places. A winning strategy of causing construction costs to skyrocket by creating painful delays through organised disruption using a whole array of tactics could mean that the fracking industry grinds to a halt. Organised direct action against fracking can win, both in the UK and internationally. Capitalism Is Killing The Earth: An Anarchist Guide To Ecology. Anarchist Federation.